Update 12/21: went back to try again and the attitude of the owners was remarkably improved! No issues on this visit with them at all. 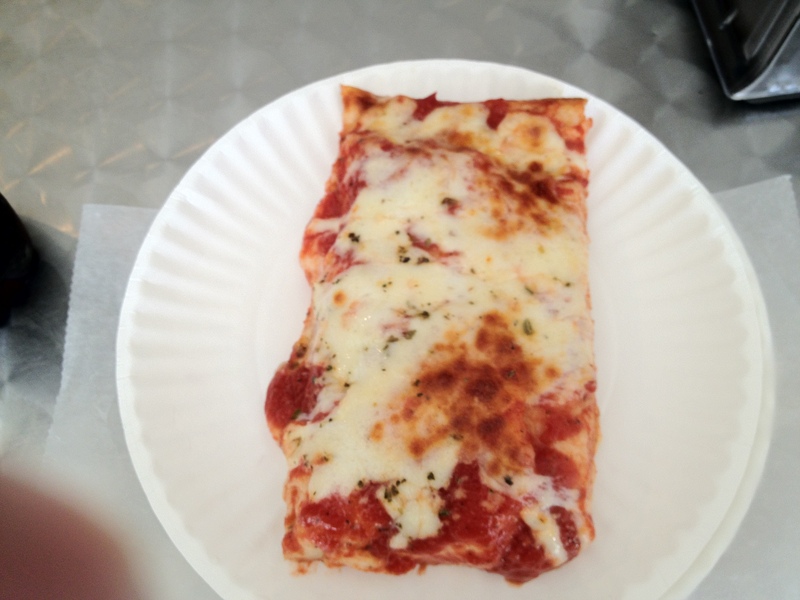 Recently I discovered the Boca Pizza and Sandwiches by the beach on A1A and Palmetto sold to some new owners, and I couldn't wait to go in and see if they cleaned the place up, while lowering the prices and continuing to give the same quality as the previous owner. 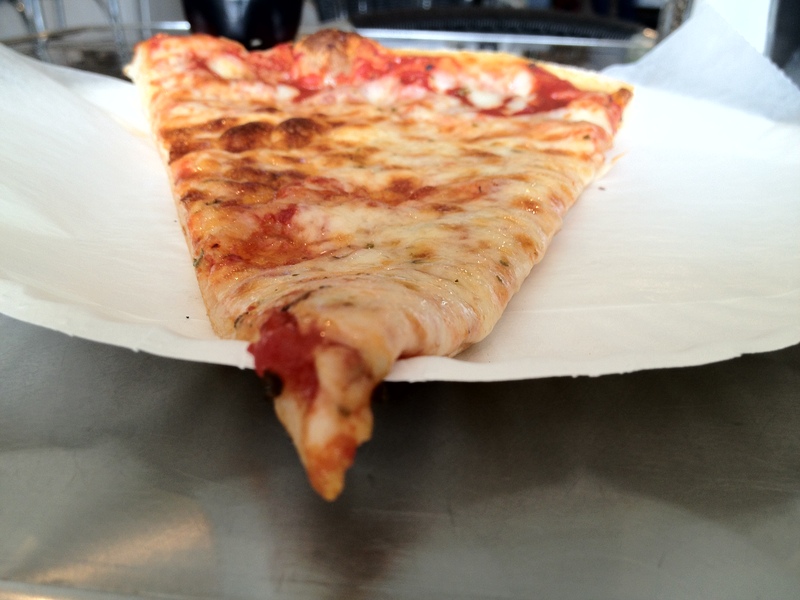 Many things can be said about the previous guy who owned the place, including how small the slices were, how expensive they were, how dirty the place always seemed to be, how unsanitary the pizza display was, but the taste was unique and good. You can read our previous review of the place here. The new owners bought the place about 10 months ago, as of the date of this pizza review. They renamed it Alfeo's Cucina & Pizzeria and did some minor remodeling. Alfeo's Pizza was empty when I walked in, so you would think the two people working there would be happy to see a customer enter through the doors. I made my way to the pizza display and ordered a regular slice, so I could see if it was as good as the previous place, or even better. After ordering from the lady behind the counter who I later learned was one of the owners of Alfeo's Pizza, she just turned around and put the slice in the oven. I tried to strike up a conversation with her, but she had zero personality and had no desire to talk to me even though I was the only customer in there. Even a simple question like "who are the people on the front page of the menu" seemed to be too hard for her to answer. Since they had their pictures on the wall as well I naturally assumed they were someone important to her? But why put them on the cover if you don't want to answer who they are. Eventually she told me they were her parents. Ok, not so hard was it? I further asked her where in New York they were from, and she almost tried to ignore the question. It seemed odd, but this new owner is even less friendly than the old owner, who seldom said anything, but I guess having a harsh personality and zero interest in being friendly to customers was a winning recipe for him, which is why he probably had to sell. Ultimately if she doesn't get friendlier to customers, I fear the same thing will happen to Alfeo's Pizza moving forward. But enough about how little a personality she had, let's focus on the pizza. 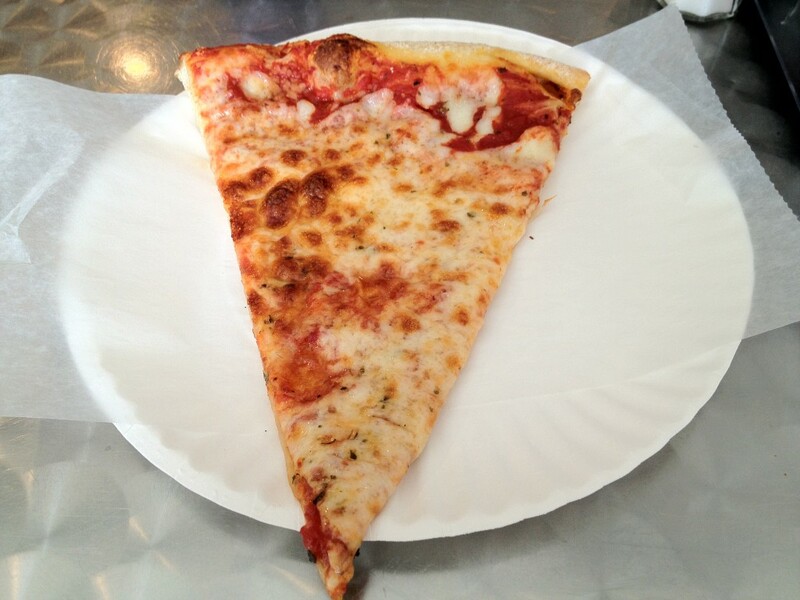 I first had the regular slice, which was nice and thin. It possessed an abundance of flour, but it didn't seem like it was too cheap a brand, that made the pizza taste bland. You can see in the above and below photos, exactly what I mean. 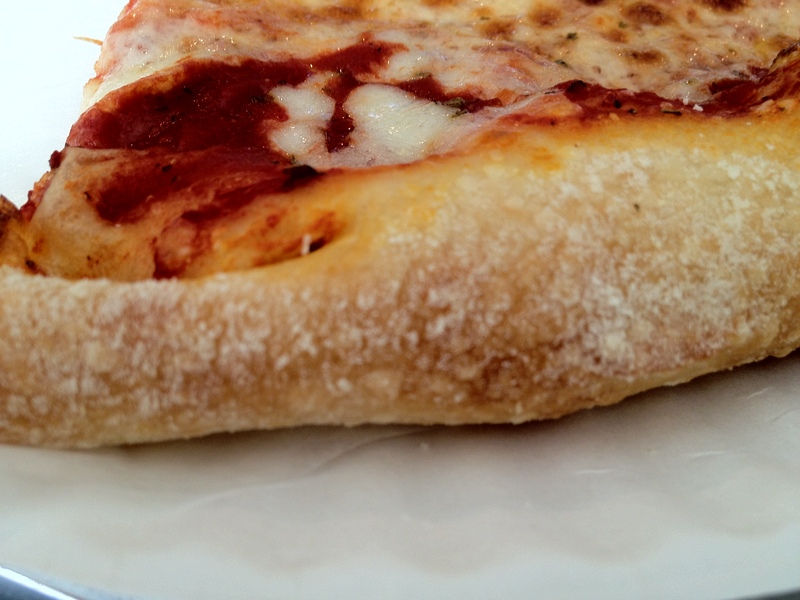 The slice in general was a bit undercooked but the crust tasted good, even though it didn't hold up that great. If Alfeo's Pizza in Boca Raton cooked this slice a little bit more, it could have been quite crispy and good. The cheese tasted decent, I do not think it was a grade A brand, but it wasn't grade D either. The sauce was sweet and although applied too heavily by the edges it tasted good. All-in-all a good slice worth trying but don't bother smiling at the help, as they do not seem to care. The Sicilian was a slice I liked better than the regular. It was crispy on the bottom, soft above, and held up nicely when I took my first bite. 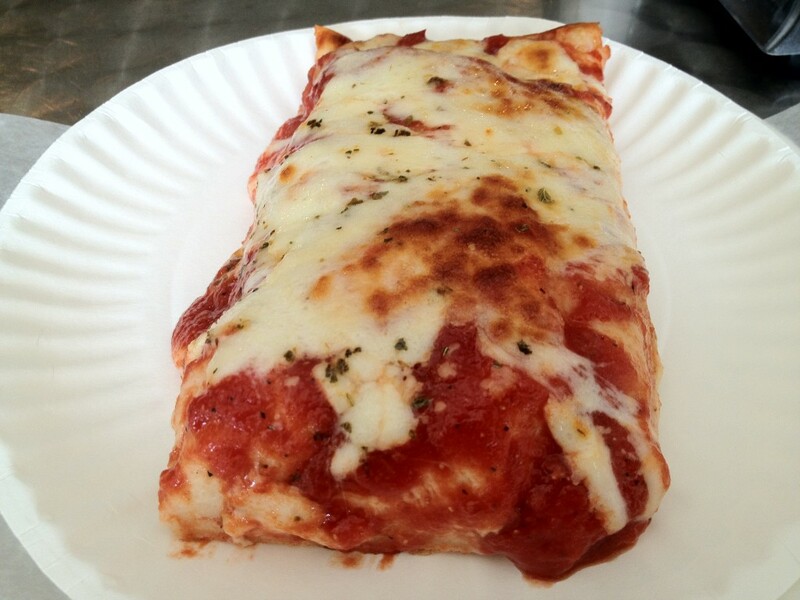 I didn't mind the excessive amount of sauce on this slice, since some of it seeped into the moist dough, and made for a splendid taste. The cheese was the same as the regular slice, but was applied generously and almost slid off the lake of sweet sauce. 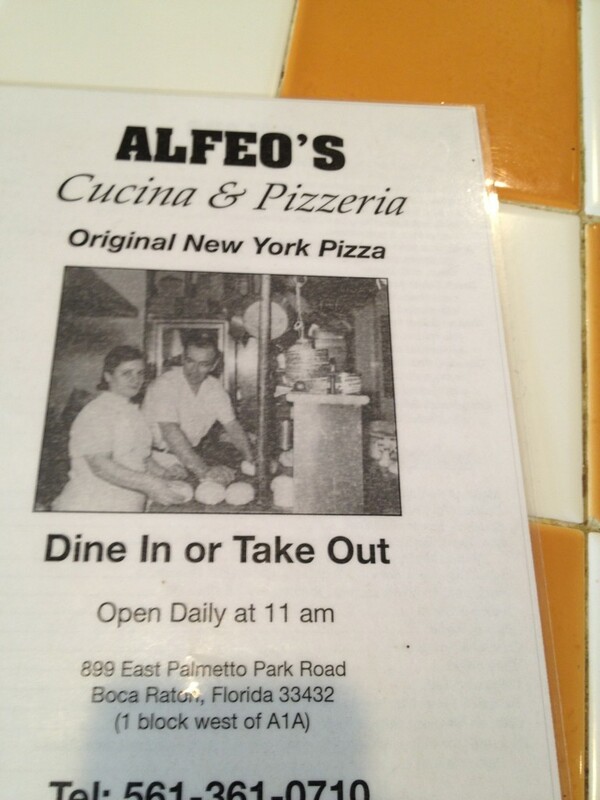 In my opinion this was the slice to get if you try Alfeo's Pizza in Boca Raton. 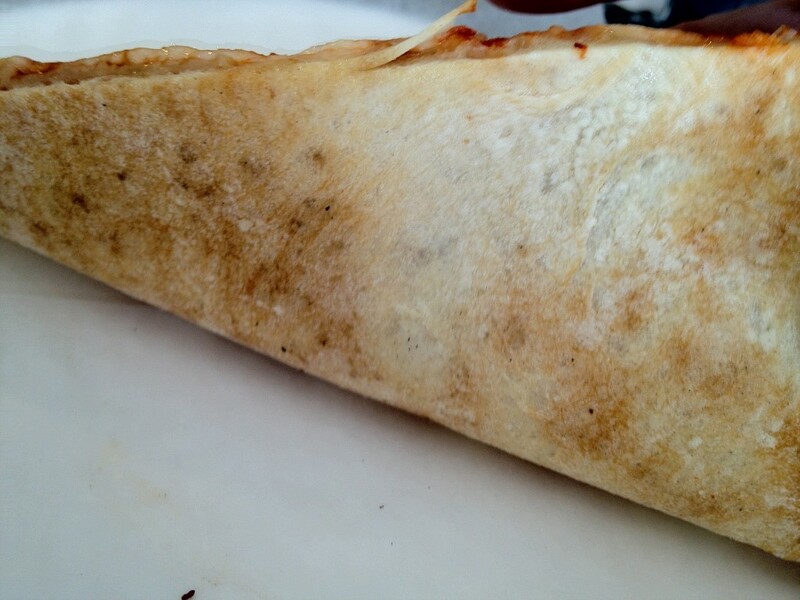 Alfeo's, all you need to do, is lighten up on the flour, apply a little less sauce to the regular slice, and learn to smile and I think you will have a winning combination here. At least you cover your pizza with some glass casing unlike the previous owner for many years. By the way.... why sell Philadelphia Italian Ices in a New York Style Pizza place?